Below is a sample motion to limine to exclude evidence or reference to the immigration status of the plaintiff's husband. The same language can be used in a motion to suppress evidence of mention of the plaintiff's immigration status. No one needs to tell you that immigration, illegal as well as legal, is a prominent subject in American politics. If you have a jury of 6-12 people, there is a good chance that someone in your jury is going to have negative feelings about immigrants. Obviously, evidence of a plaintiff's immigration status is highly inflammatory and prejudicial, particularly when that status is illegal. Does this stop defense lawyers from trying to get immigration status directly or indirectly into evidence? It does not. Efforts to take advantage racial and ethnic prejudices really are just awful and the lawyers trying to get this into evidence should be struggling to sleep at night. Thankfully, you usually can get an order from the court not to quash this prejudicial appeal to think differently about the case because of the plaintiff's immigration status. This is a sample motion in limine towards that ends. Can illegal immigrants bring an injury claim? This is a medical malpractice case in which the Plaintiff claims that the Defendant Tina Devers, M.D. breached the applicable standard of medical care during a laparoscopic gallbladder operation on November 17, 2016, and caused the Plaintiff's transected common bile duct. This act of medical negligence proximately caused a permanent physical injury to the Plaintiff and necessitated additional medical care and treatment at the University of Maryland Medical Center to include major abdominal reconstructive surgery and other medical care. At her deposition, Defense Counsel asked the Plaintiff a myriad of harassing questions about her husband's immigration status and citizenship. See Evans Dep. P. 53-64 attached as Exhibit 1. 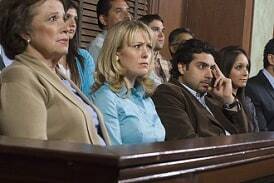 At trial, it is anticipated that Defense Counsel will attempt to argue or introduce before the jury testimony or evidence regarding the Plaintiff's husband's immigration status or citizenship in the hopes of inflaming the jury's prejudices and bias regarding immigrants in the United States. This testimony and/or evidence must be precluded because it is irrelevant, prejudicial, and-quite frankly-offensive and harassing. It serves no purpose and any attempt to introduce it is inappropriate and has no place in a Maryland courtroom. "Evidence that is not relevant is not admissible." Md. Rule 5-402. "'Relevant evidence' means evidence having any tendency to make the existence of any fact that is of consequence to the determination of the action more probable or less probable than it would be without the evidence." Md. Rule 5-401. Evidence, to be admissible, must be both relevant and material. Evidence is material if it tends to establish a proposition that has legal significance to the litigation; it is relevant if it is sufficiently probative of a proposition that, if established, would have legal significance to the litigation. Evidence is relevant, therefore, if it has any tendency to make the existence of a material fact more or less probable than it would be without the evidence, and a fact is material if it is of legal consequence to the determination of the issues in the case, which are dependent upon the pleadings and the substantive law. To determine relevancy, we ask: "Does the evidence being offered have a natural tendency to prove (or disprove) the point counsel is trying to prove?" If the answer to the relevancy question is "Yes," to determine materiality, we ask: "Does this particular point help the fact finder decide an issue that it must decide to arrive at its verdict in this case?" Murphy, J., Maryland Evidence Handbook §501 (Matthew Bender 2009). First, Plaintiff's husband's immigration and citizenship status are not material to anything in this case. "Materiality looks to the relation between the propositions for which the evidence is offered and the issues in the case." Id. This kind of evidence is immaterial because it does not tend to establish any proposition of legal significance to this litigation. The only issues to be decided by the jury are whether the Defendants breached the applicable standard of medical care, and if so, what injuries and damages did the Plaintiff suffer as a result of this breach. Here, there is nothing linking the Plaintiff's husband's immigration status and citizenship with either the liability or damages portions of this case. Second, Plaintiff's husband's immigration status and citizenship are not relevant. "Relevancy tests the relationship between the evidence being offered and the point counsel is trying to prove." Id. As was stated above, there is no causal link between the Plaintiff's husband's immigration status and citizenship and any of the claims of liability or damages in this case. In this medical malpractice case, there is no fact in dispute that would be more or less probable because of the Plaintiff's husband's immigration status and/or citizenship. It is also worth noting that the Plaintiff, in this case, is Nancy Evans, not her husband. This makes any testimony or evidence regarding her husband's immigration status and/or citizenship even less relevant and material because he is not even a party in the case. The first step of the analysis is to determine what, if any, probative value the disputed evidence has. Probative value means the degree to which the proffered evidence tends to prove or disprove a fact in issue. Stated otherwise, probative value is "the tendency of evidence to establish the proposition that it is offered to prove." Murphy, J., Maryland Evidence Handbook §501 (Matthew Bender 2009). Evidence that "has only a slight tendency to prove a fact of significance" has very little probative value. Paul W. Grimm & Matthew G. Hjortsberg, Fundamentals of Trial Evidence: State and Federal §4.2 (MICPEL 1997). By way of example, the probative value of a prior inconsistent statement "is defined as its value for impeachment purposes, that is, its likelihood of actually damaging the witness's credibility." Pickett v. State, 120 Md. App. 597, 605, 707 A.2d 941, 945 (1998). Here, evidence of the Plaintiff's husband's immigration status or citizenship has no probative value because it has nothing to do with either the Defendant's negligence or the Plaintiff's damages. The second step is whether the probative value of the evidence is "substantially outweighed by the danger of unfair prejudice, confusion of the issues, or misleading the jury, or by considerations of undue delay, waste of time, or needless presentation of cumulative evidence." Md. Rule 5-403. Here, there is a substantial risk of unfair prejudice created by injecting evidence of the Plaintiff's husband's immigration status or citizenship into this case. Immigration status is prejudicial in that it "introduces a factor into the case that might encourage the jury to dislike or disapprove of [a party] independent of the merits." United States v. Amaya-Manzanares, 377 F.3d 39, 45 (1st Cir.2004). See also United States v. Almeida-Perez, 549 F.3d 1162, 1174 (8th Cir.2008) ("[T]he use of [immigration] evidence is fraught with the danger of prejudice to a defendant by introducing the possibility of invidious discrimination on the basis of alienage. "); Galaviz-Zamora v. Brady Farms, Inc., 230 F.R.D. 499, 502 (W.D.Mich.2005) ("[D]amage and prejudice which would result ... if discovery into ... immigration status is permitted far outweighs whatever minimal legitimate value such material holds for Defendants.") (emphasis in original); Salas, 230 P.3d at 586-87 (reviewing cases finding prejudicial effect of immigration status). WHEREFORE: Plaintiff respectfully requests that this Honorable Court grant her Motion In Limine and preclude any testimony or evidence at trial regarding Plaintiff's husband's immigration status and citizenship. Plaintiff requests a hearing on all the issues set forth herein. Most courts recognize that putting a label like "illegal alien," "illegal immigrant," or "undocumented worker" is unduly prejudicial to the plaintiff's ability to get a fair trial. But there are some instances where it is arguably relevant. If the plaintiff is bringing a future lost wages claim, the victim's immigration status is necessarily going to involve questions of where the client will be working. But most jurisdictions are still excluding this evidence. At least 18 state courts (including Texas, New York, New Jersey, and Washington) and 10 federal courts have considered the issue of an undocumented immigrant's claim for lost wages in injury cases. In those combined of those 28 cases, Courts, 20 of them have ruled that an undocumented person can make a claim for lost wages under the assumption that the victim remains in the United States without reference to immigration status. Keep in mind that there are cases where the plaintiff's immigration status is at least marginally relevant. But in today's political climate, you should be able to make the argument that even if there is a modicum of probative value of the victim's immigration status, the value is the evidence had on Plaintiff's pain and suffering was easily outweighed by the danger of unfair prejudice. Virginia: Peterson v. Neme (1981): Affirming exclusion of victim's illegal immigrant status offered to rebut future lose wage claim, noting that such evidence is “uniquely prejudicial” and that “the trial court properly could conclude that the prejudicial impact of the proffered evidence outweighed its probative value." Texas: Republic Waste Servs. v. Martinez (2011): "Undeniably, the issue of immigration is a highly charged area of political debate” and holding the “probative value of evidence showing only that the plaintiff is an illegal immigrant, who could possibly be deported, is slight because of the highly speculative nature of such evidence." California: Clemente v. State (1985): Illegal immigrant status “even if marginally relevant [on damages is] highly prejudicial." New York: Klapa v. O&Y Liberty Plaza Co. (1996): “Whatever probative value illegal alien evidence may have [as to damages] is far outweighed by its prejudicial impact."